GPU-based production renderer Redshift is to become available on Mac as well as Windows and Linux. 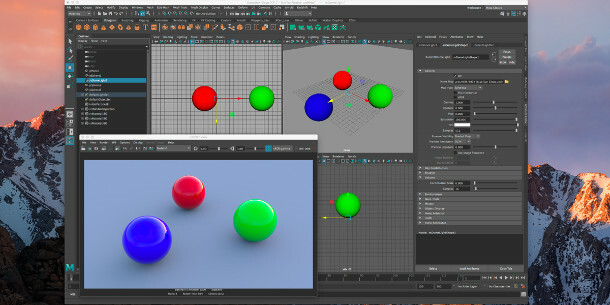 Developer Redshift Rendering Technologies plans to make the Mac OS X version of Redshift’s Maya integration plugin available first, with the Cinema 4D and Houdini plugins to follow. As a CUDA-based renderer, the decision to support OS X in Redshift is an interesting one, given that Apple’s current line-up of Mac Pros features only AMD GPUs. In a post on the Redshift forum, company CTO Panos Zompalos noted that the port “was implemented … mostly either in my free time or in between tasks” and that was partly motivated by the desire to have upcoming features of the software like distributed rendering running uniformly on all platforms. Apple has also just announced that it is “completely rethinking” the design of the Mac Pro, so it is also possible that the new models – due in 2018 – will support Nvidia GPUs. The Mac version of Redshift for Maya will support Maya 2014 and above running on Mac OS X 10.11 or later. According to Zompalos, when it comes to suitable GPUs, “anything from [Nvidia’s] GTX 9xx series and up would work fine”, although the firm also plans to support older Kepler and newer Fermi cards. So far, no release date has been announced, although Redshift says that it already has a working build of the plugin. You can check the forum thread linked at the foot of this story for updates.